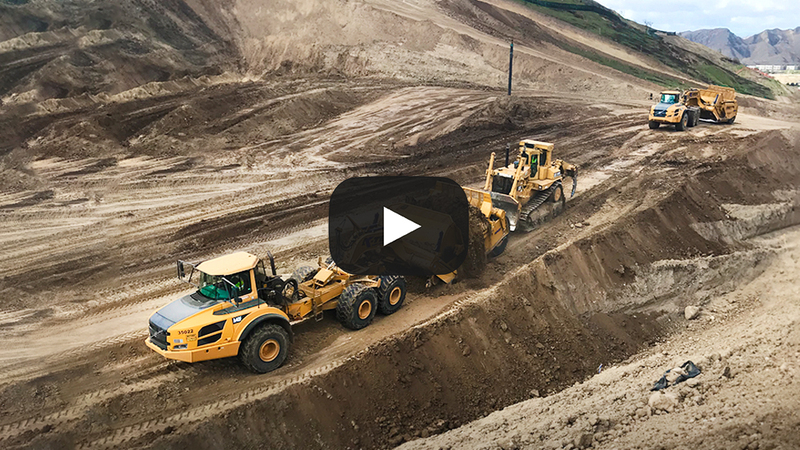 25M Cubic Yards of Earth Moved in a Year - March 2018 Newsletter | K-Tec Earthmovers Inc.
Click here to watch Independent Construction's K-Tec scrapers moving their portion of the 25 million cubic yards required in one year. Roughly 70,000 cubic yards per day working five 10-hour shifts and eight hours on Saturday for 14 months, for a new Southern California housing development. Grab a K-Tec scraper for your spring rush. 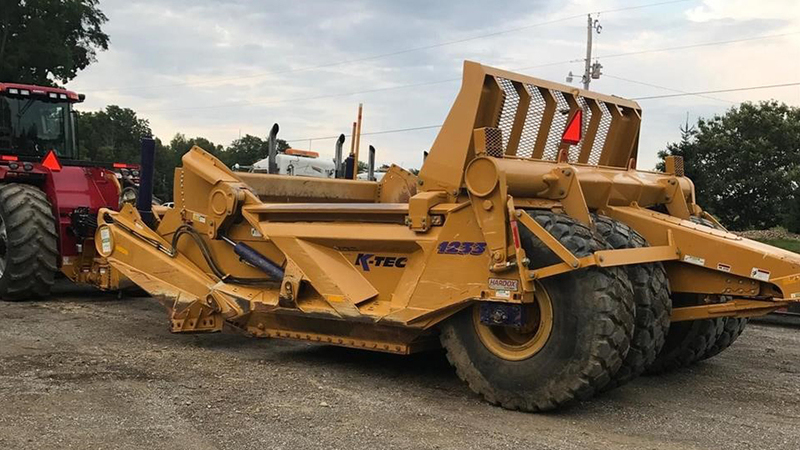 Visit this link to see the availability and value of previously-owned K‑Tec scraper models. Celebrating the 10 year anniversary of the K-Tec ADT Series Scrapers! 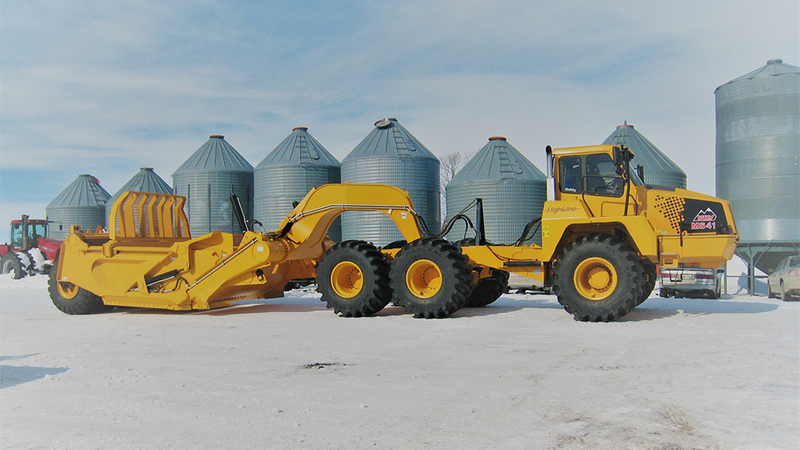 First introduced at ConExpo in 2008, attached to a Moxy Articulated Dump Truck. 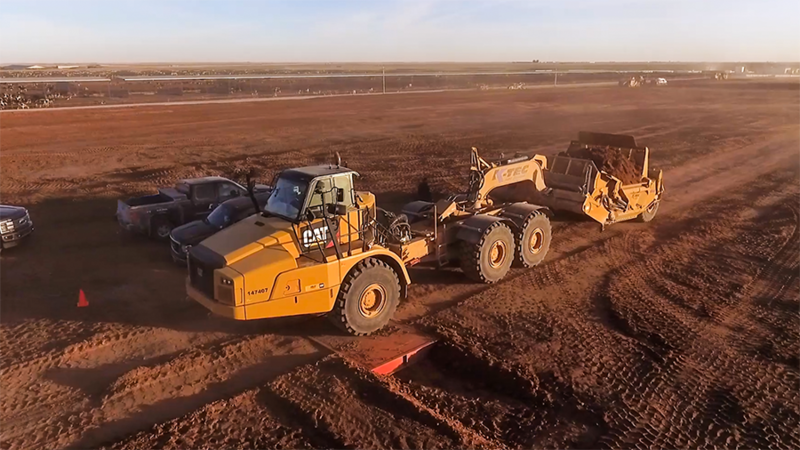 K-Tec pioneered this advancement in earthmoving efficiency. Want to see one of our scrapers in action on your jobsite moving your material? K-Tec now offers on-site load scaling to calculate and prove K-Tec's massive advantage. Click here to apply for a free on-site scraper demonstration. 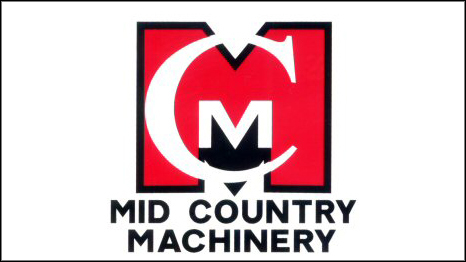 Mid Country Machinery is an authorized K-Tec ADT Scraper dealer with three locations in Iowa. Contact Mid Country to check on scraper availability and request a quote.